Family reunions are not-too often occasions where members of a family get together for some catching up and awkward fun (hence the need for family reunion games!). Reunions are awesome for families that are spread across the world, or even families that just don’t see each-other too often. While family reunions are spent catching up, understanding the family history and reminiscing through the genealogy, there is plenty of time for fun and games. (Or even a fun family movie!). That is why we have created this awesome guide for family reunion games! Family reunion games and competitions are a big hit for family reunions as they help to get lots of family members interacting with one another and can also help to bring the shy introverts into the fold. Having an element of competition is always a solid way ensure everyone joins in, takes part and brings out their healthy competitive side. Just make sure to have enough prizes for the kids! ? 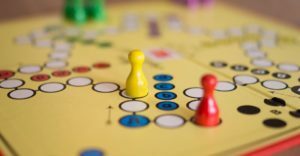 If you’re hosting a family reunion, which you likely are planning (due to your reading this article), then read on for some interesting ideas for family reunion games to play that will help break the ice, get outside, hand out prizes, and allow everyone to learn about each-other and have a grand ol’ time! Who’s ready for some fun family reunion games! Once everyone has been reacquainted, bring out some fun family trivia games to see how much family members really know about one another. Trivia games are great for inviting lots of conversation afterwards, giving everyone interesting topics to cover, and hopefully breaking any awkward silences that will inevitably happen with families seeing each-other for the first time in years. Baby Photos: If possible, gather baby photos from as many of the extended family members as possible before the reunion, then give each team a page of photos and ask them to guess which family member it is. To make this easier, you could provide a list of names to choose from or provide helpful hints (particularly if you have a kid’s team that need a little help). Family Quiz: Put together a list of around thirty question based on your family, some of these should be informative, some should be more light-hearted. Think about family members past and present so that you can have a mix of questions, so the youngest family members will be able to join in. At the end, create an awards category, celebrating extraordinary facts or those that deserve recognition i.e., graduations, new jobs, new babies. Human Bingo: Create a bingo board for each person where they have to find someone in the group that can answer yes to each of the questions on the bingo board. Once they have completed their table, the fastest person shouts Bingo! And they also win the prize. Sample questions can include: Can you speak more than two languages? Do you share the same zodiac sign as me? Do you have five cousins? How many kids do you have? After the intros, an ice breaker game is a great family activity that can really lighten the mood and guarantee that everyone participates. As families grow and change in between reunions, ice breaker activities are a clever way to get everyone reacquainted with one another and help ensure that all family members know who everyone is. Especially if there were new babies born! If you are fortunate with the weather, then fun family reunion outdoor games can give long lasting memories and make your entire extended family have a great time! Games outside aren’t just for the young and the energetic. Outdoor games can appeal to all ages and be played anywhere, from a garden, park or simply the backyard. 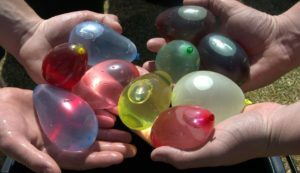 Water Balloon Toss: The teams line up one behind another, and the person at the front throws thewater balloon water balloon to the next person in their team, and with each successful pass, every team member must take one step away from each other. The last team with an unbroken balloon wins. Bin bags may be required for some participants in order to protect their clothes. Frisbee Tic Tac Toe: All this game needs is a spare sheet (designed into a grid) and some cheap frisbees (ideally in two different colors). The participants must throw the frisbee onto the sheet create a line of three to win. Ring Toss: This game is ideal for family members of all ages, where each team has a selection of rings that are worth different points to toss onto a stake in the ground. If the ring is tossed onto the stake, they win the points, and the team with the most points at the end is the winner. Indoor parlor games are great for family reunions when space is limited, or the weather isn’t pleasant outside. Parlor games are extremely popular and can definitely bring out the competitive edge in everyone. These games are ideal for all generations to play. Moving Marbles have two marble zones, one filled with six marbles, and the object of the game is to transfer the marbles to the new zone (such as a paper plate) using only a straw. Whoever completes the task the quickest wins! Balloon Racing each team lines up one behind another and a balloon is given to the front person of each time. Each player must have their hands behind their back, and the balloon must be transferred between people’s knees to the back of the line. Whichever team gets it to the back the quickest wins. This is a great game to have family vs family, although let’s hope the competition doesn’t get too intense! Scavenger Hunt create a list of objects to find and the first one to hunt them all wins! This is a great game at the end of the party to help clean-up particularly if the objects to acquire include empty drinks cans and a paper plate. (Scavenger hunt is a much more palatable name than ‘Garbage cleanup’). Ideal for discovering information and funny secrets about your family, guessing games are great when the party is winding down from energetic activities, or perhaps after dinner with everyone gathered around the living room. Trivial Pursuit: Everyone submits unusual facts about themselves, and the host splits these facts into six categories. Categories can include Love, Hometown, Trouble, Embarrassment, Friendship and Outrageous. The family teams then roll the dice to decide which type of question they have to answer. The family to have a right answer from all six categories wins. Usually, ‘name the family member’ is difficult enough for this game, but if it is obvious, I’m sure that there is a tougher question that a family member can conjure up. Always best to defer to grandma or grandpa for this game. Where and What? Take obscure photos of objects and places that are important to your family and ask everyone else to guess what the items or location is. This game works well with family antiques, heirlooms as well as places of interest such as wedding venues or people’s house. You’ll be amazed how many people won’t recognize their own wallpaper!! To get everyone involved it’s important to have lots of family reunion prizes ready. Make sure you have lots of sweet treats to hand out to the kids to keep them occupied…and energized. It probably makes sense to ask each family group to bring something to the party, and in addition to treats, these prizes can be a teddy bear (for kids) or a local hometown souvenir (for teenagers). Lay all the prizes on a table, and after every game, each winner gets to choose a prize that’s on the table. What, you thought this article was only about games to play at a family reunion? For every event, there must be appropriate decorations! Family reunions are the perfect excuse to go all out with decorations. Banners and balloons are always welcome, and the balloons are a great distraction for kids who might be a little bored with the proceedings. Try to gather lots of photographs of the family and print out poster-sized versions to fill the walls. Don’t forget to include pictures of family past and present to get the conversation flowing and provide laughter at funny memories or old-fashioned outfits. ‘Family trees’ make great centerpieces, which only needs a few branches and some glue. You and the guests can then attach family photos to the branches with string and glue to create a lovely family tree. Having whiteboards are a great way to allow people to pin newspapers clippings, messages for family and funny photos to create fun collages to share all of their family news. Any pictures of birthdays, weddings, bar mitzvahs, or graduation would be perfect here! 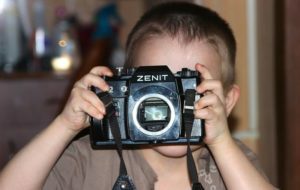 Remember to keep a camera on hand to take lots of pictures of your family enjoying the fun games, catching up and watching the changes throughout the generations. 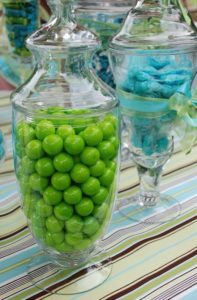 And, of course, the added benefit is that taking pictures at a reunion will make decorating for the next family reunion that much easier! Image taken from Flickr with Creative Common License.